I've got some sad news and some happy news for you today. Since I try to be a glass-half-full kind of guy (what's the point anyway?--it's half a glass, right?) I'll share the happy news first. 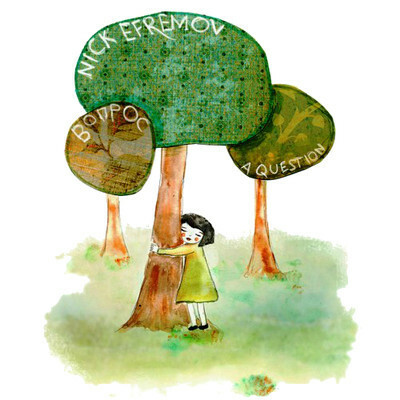 Nick Efremov has released a bunch of new music available for free download at Soundcloud. Efremov is a Russian electronic producer who composes beautiful works of dream-pop/electro-gaze laden with rich reverb. After listening to just one of the new songs, I decided I would pick this up. After all, you can't go wrong with free. The textures Efremov weaves into this music are breathtaking, rounding the arc from full-on shoegaze, to repetitive dream-pop, to electronic ambiance, and back again. His vocals are understated, layered, and looped to create the stretched melodies that make up the music. While this music is mostly electronic, moments of distorted live instruments creep through the music. It appears that most of the songs are written in Russian, so I am sharing one that is obviously in English. Check out December here. Now that I have the happy out of the way, I lament to be the bearer of the sad news. American Christian Metalcore band Underoath is disbanding after some fifteen years in the business. They have just announced plans for their farewell tour and have shared perhaps their last brand new song, which is streaming now. I became a fan of Underoath after hearing the solid release "Define the Great Line". After that, I picked up a copy of "Lost in the Sound of Separation" as soon as I could. This disc also did not disappoint. As I mentioned, Underoath is a Christian metal band. Lyrically, most of their songs deal with personal, emotional issues and religion. This band manages to blend harsh, screaming vocals with beautiful melodic clean singing as well as any I have ever heard. When they break out the clean singing, the pace of the music slackens to reveal heartfelt, somber guitar melodies enriched with ambient atmospherics. Underoath is as good as metalcore gets. This new track, Sunburnt will apparently be released with the farewell tour live album. This is a great track by which to remember this excellent band. Check it out below. Thanks for reading and enjoy! !